With the onset of social media and image sharing sites, the nature of sharing photos on the Internet has changed greatly since the original launch of the forums in 2002. 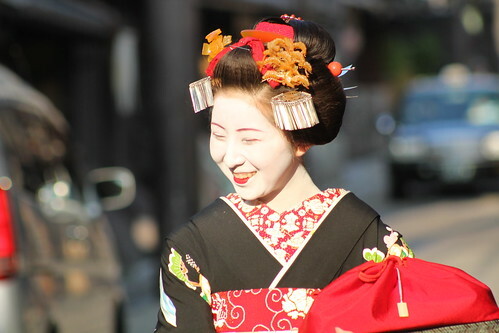 In order to be copyright compliant and respect other people's intellectual property, we have implemented strict guidelines with regards to sharing other people's photographs of geisha, maiko, kimono, etc. This thread is specifically for sharing photographs taken by other people. If you wish to share your own, personal photos, please view this thread for a guideline. Before sharing photographs or images that are not your intellectual property, please read the below linked articles and guideline carefully. Art Law Journal - How can I Find Out if a Creative Work is Copyright Free? If you come across an image you wish to share, whether on a photo sharing website (such as Flickr), on a blog, website, Google image search or Pinterest, check to see if there is Creative Commons or Copyright information with the photograph. In the case of an indexing website such as Google Images or Pinterest, you will need to go to the original source to determine copyright. The most important thing is to: Always assume that the image is Copyrighted and restricted from sharing. Your job is to research and find out otherwise. Once you have determined the copyright status of the image, proceed as instructed below. DO NOT post the photo itself on the forum (unless you have received permission from the copyright owner to share on the forums). DO NOT share photographs or links to the photographs of any photographers who have their images available only for friends views (whether on Flickr, Facebook, or other social media site, or password protected websites), and/or have a statement explaining that their photos are for friend view only. Fumino looks so happy on her mishidashi! How odd is that solid colour darari obi, second from left! Do you think the obi itself was solid colour, or filled in by the original photographer/processor? How odd is that solid colour darari obi, second from left! 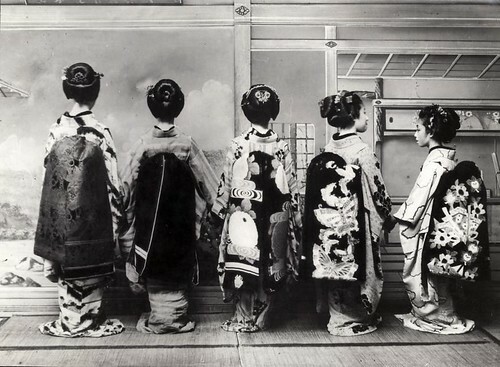 Do you think the obi itself was solid colour, or filled in by the original photographer/processor?